Soldiers made up the main construction group. This was the case with the building of the wall of Northern Qi (550-557). Also, during the Qin Dynasty, 300, 000 soldiers were redirected to build the wall after General Meng Tian conquered the Huns. Still, it took nine years to finish the work. In order to take care of the soldiers and make them feel settled, the court even arranged for widows to marry them. Millions of common people were called up to build the wall. Northern Qi's wall, starting from Xiakou to Hengzhou, used 1, 800, 000 laborers. A section of Sui's (581 - 618) wall in Inner Mongolia required more than 1, 000, 000 men to build. Besides the first 300, 000 soldiers, Qin's wall required another 500, 000 common people to complete the work. It's a big burden for ordinary people to build the Great Wall. Sometimes, all the men in the nation were forced to construct. For instance, during the Wei-Jin and Southern-Northern dynasties (around 265-589), even children had to join this project. As a result, no men were engaged in farming, women were frightened to have a boy, and widowers dared not to marry a woman. 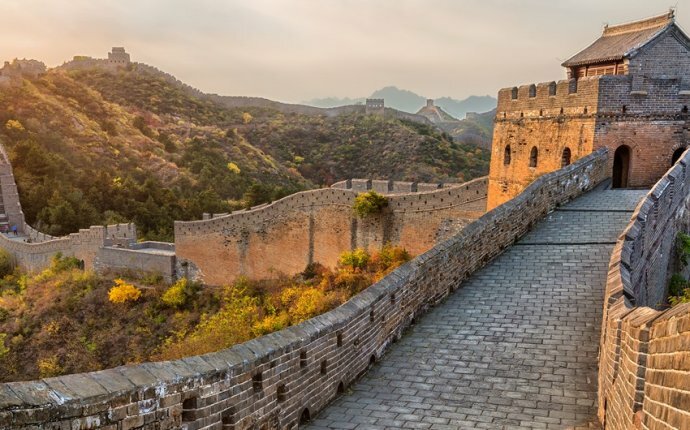 Also the Great Wall construction led to a large number of deaths and injuries. For those who lost sons or husbands, life would become much harder.